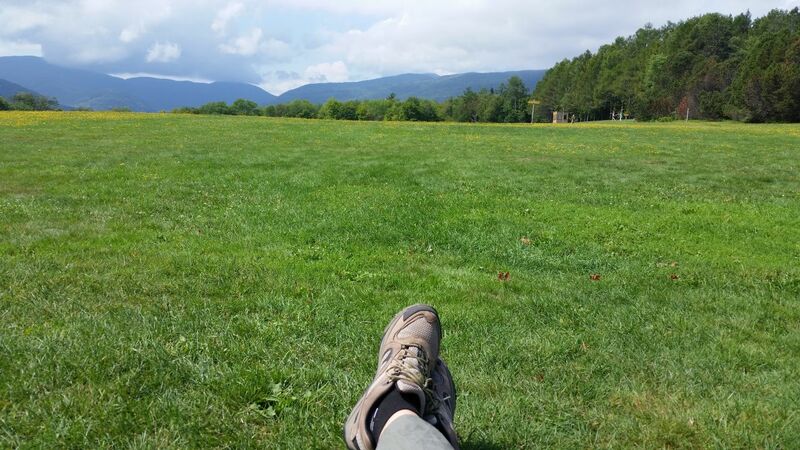 With close to two weeks in Vermont, I felt we had seen a lot and done a lot. I did not feel rushed nor did I feel deprived of seeing anything. One of the excursions that was interesting and informative was Billings Farm and Museum in Woodstock, Vermont. One of the premier dairy farms in Vermont, it’s been around since the 1800’s. 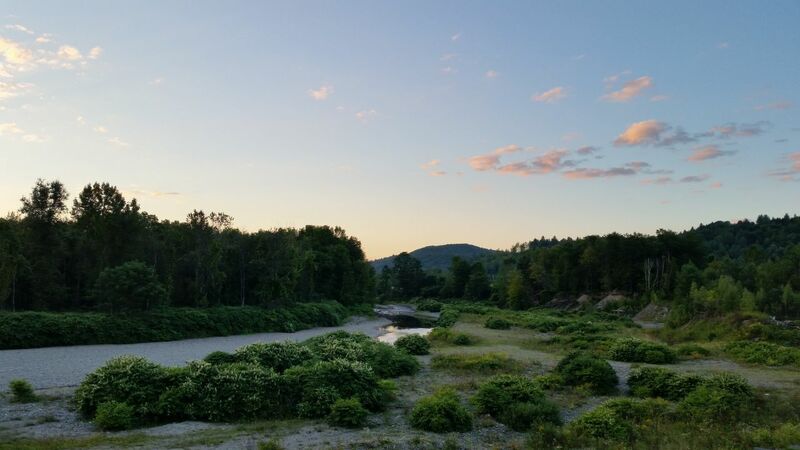 George Perkins Marsh, Frederick Billings, and Laurance S. Rockefeller, successive residents of the estate were some of the earliest advocates of land stewardship, conservation and ultimately served to start our National Parks System. If it were not for these individuals, we would not have the great National Parks we all enjoy today. 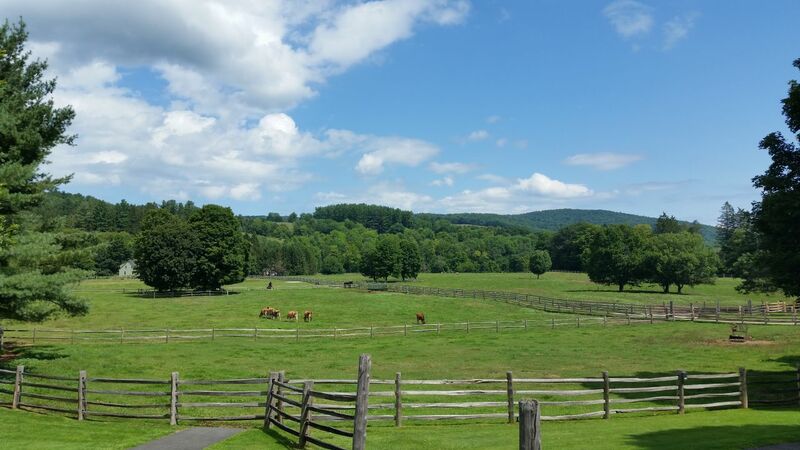 The grounds are immaculately kept; you can tour the barns where they still house the descendants of the Jersey Cows that Frederick Billings imported centuries ago. Just down the street is the Marsh-Billings-Rockefeller National Park where you can enjoy more of what these great men left to us. There were lots to see and do on this still working farm and museum. This still working farm and museum are located in the town of Woodstock, Vermont. 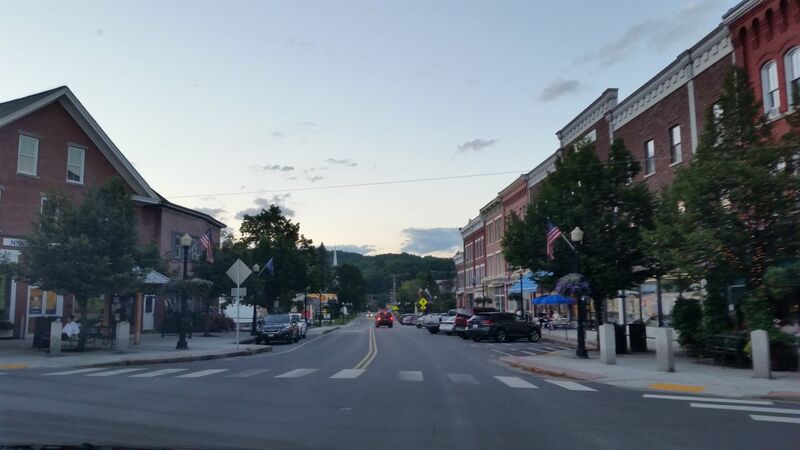 Vermont is full of these quaint little towns. 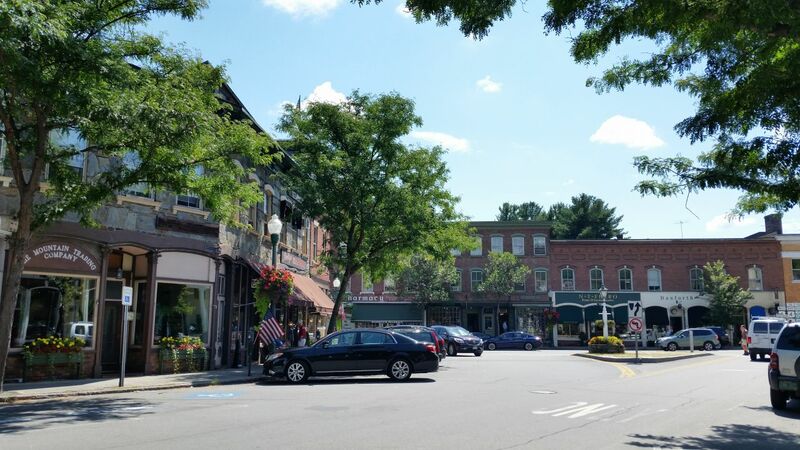 We had a great time exploring a bunch of these small towns. Woodstock, Quechee, Stowe, Waterbury, Randolph, just to name a few. All have their own uniqueness and charm. In Quechee they have the famous Quechee Gorge. 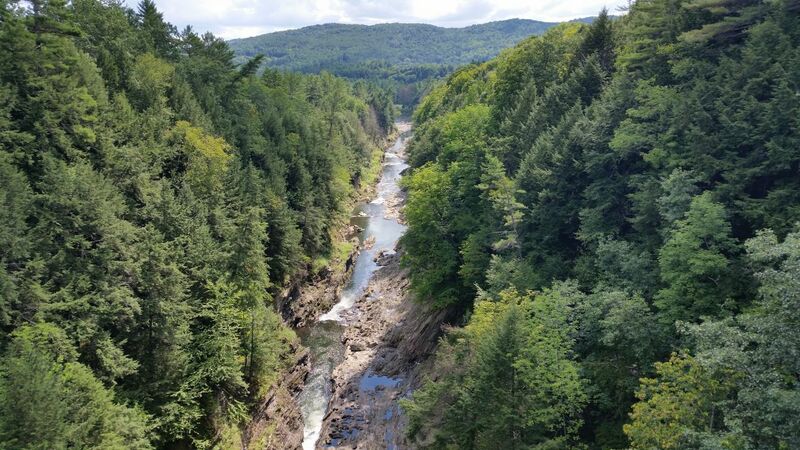 Its claim is the little grand canyon of Vermont. Well, while it’s no where near the size, awe inspiring hugeness that is the Grand Canyon, but let’s be honest, there really is no comparison, but it was beautiful. It has some nice trails that you can hike. People were down below swimming in the river. But it was just a gorge to me. If we had more time we might have donned our hiking shoes and really dove into the history of the gorge. But alas, we were on a shopping trip and had a plan. I guess the gorge is one way to get people to go to the shopping area that’s there. But do we really need an excuse to do more shopping? I think not. Especially since they have a sampling room, and therefore we can buy, the Putney Mountain Wine that we have so fallen in love with. OMG! They had a crumble-topped apple pie that was coming out of the oven in 10 minutes. We bought it before it finished baking. The smells, the pastries, the pies! Oh My! 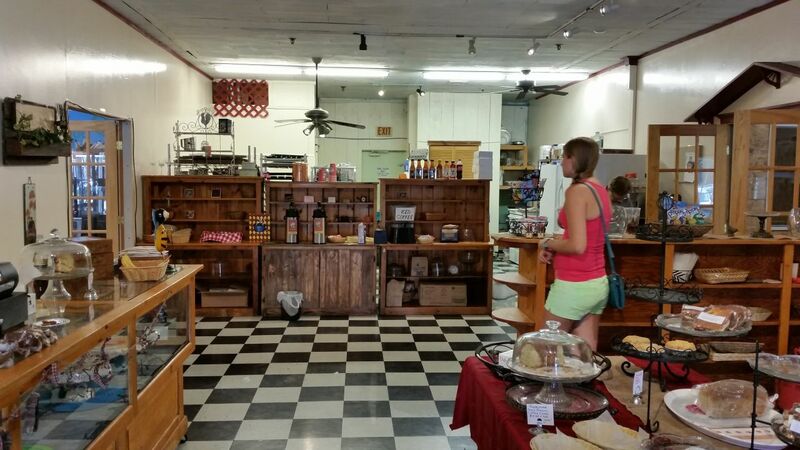 And the owner of the bakery was in the kitchen in the back with her helper, making more goodies. A real kitchen, not one of those big commercial sized kitchens. Out of respect for the owner I did not take a picture of her kitchen, as she was embarrassed that it was messy since they were cooking up a storm. I highly recommend that you get a pie if you are in the area. 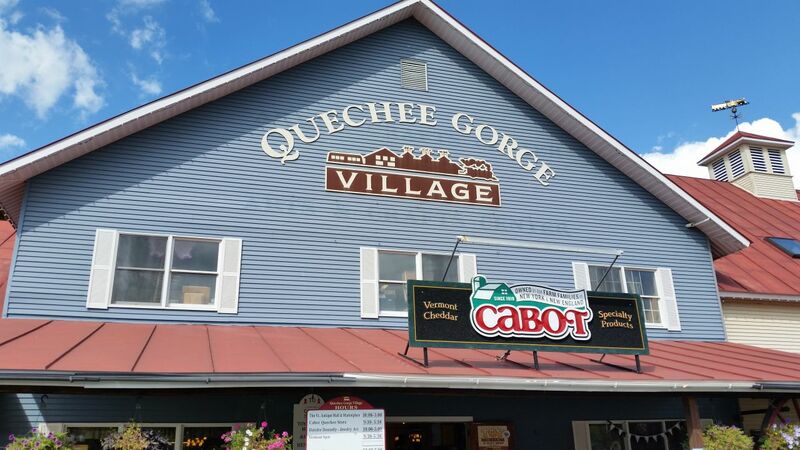 This Quechee Gorge Village is not a typical place we like to shop. To touristy, but we had to stop for more wine as I mentioned above. We were actually pleasantly surprised by some of the interesting and crafty things we found there. Yes, we did end up buying some gifts other than wine. That we are keeping all to ourselves. Sorry if I keep going on about this wine but if you are lucky enough to sample some, you will be hooked as well. Sad thing is they don’t ship. So we are savoring what we have. One of the highlights for the boys on this trip was the Rock of Ages Granite Quarry. 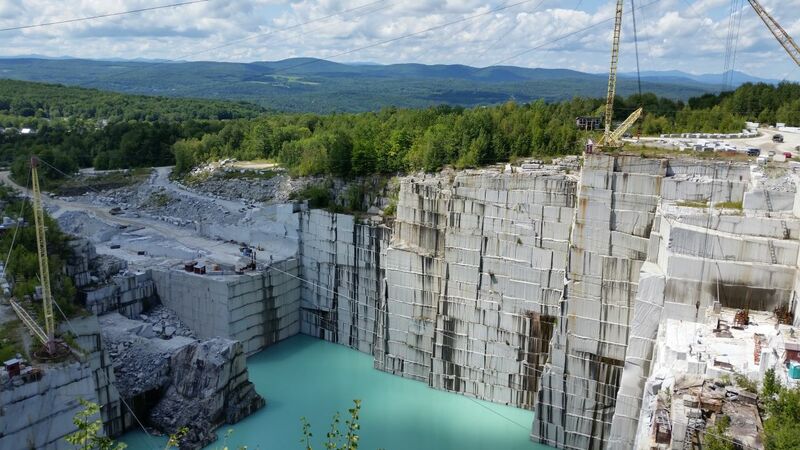 At nearly 600 feet deep they believe it to be the largest operating deep-hole, dimension granite quarry in the world. It is over 2 miles to the other side from where we were standing. 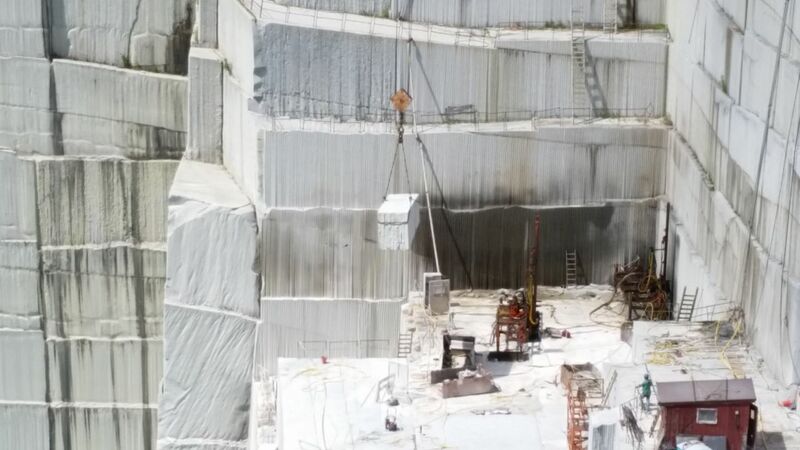 The piece that you see above that is being hoisted up from the quarry is actually 30 tons of granite! They say there is enough granite in this quarry to mine for the next 20,000 years. So needless to say we will not be running out of granite anytime soon. 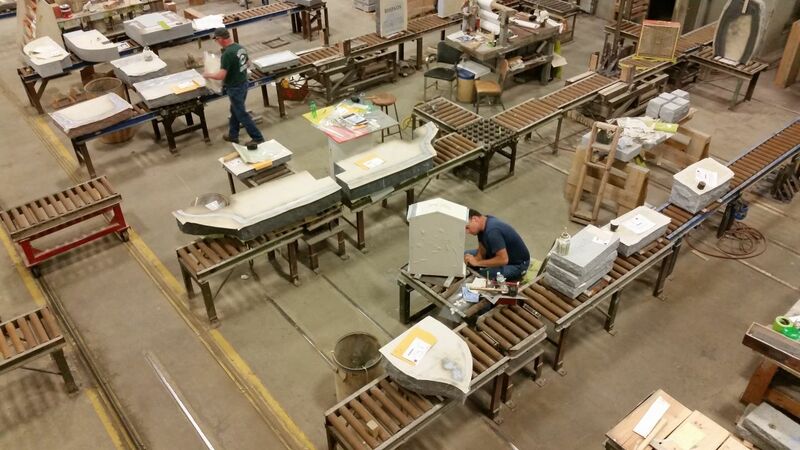 The Rock of Ages Granite Factory, right now is producing mausoleums and memorials. After you view the quarry you can watch the workers produce some amazing pieces of work. These crafters are true artists sculpting each piece by hand after the initial cutting and shaping has been done. 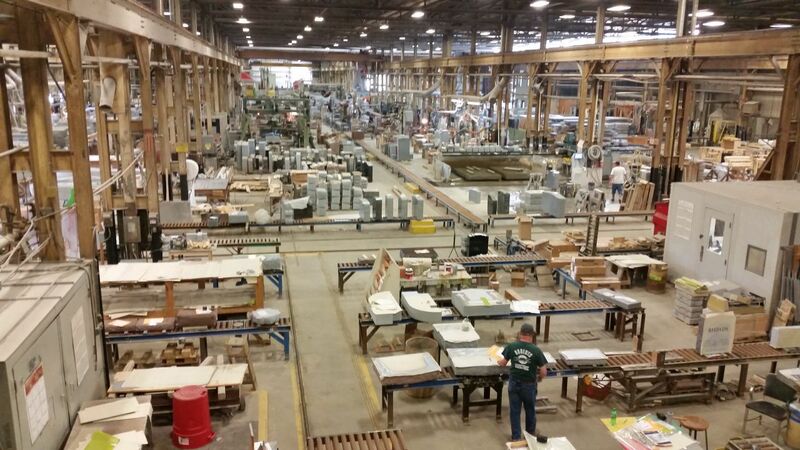 After taking this tour and seeing the factory floor, you certainly will not look at a cemetery the same way again. 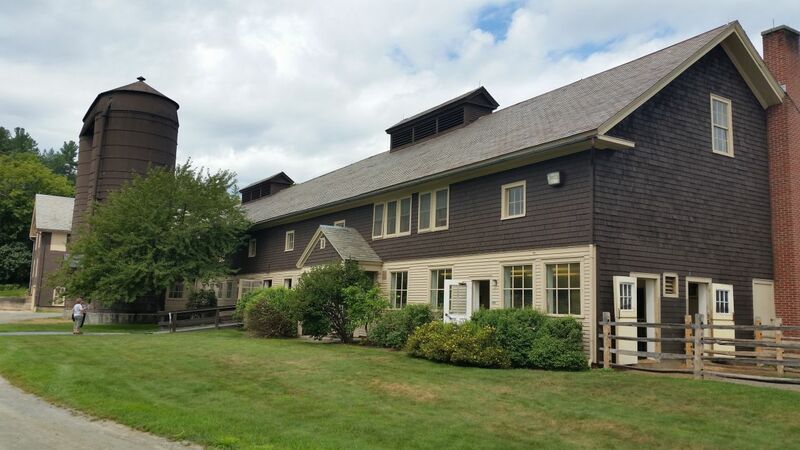 No Vermont tour would be complete without a trip to see the Von Trapp Family Lodge. Yes…that Von Trapp family. 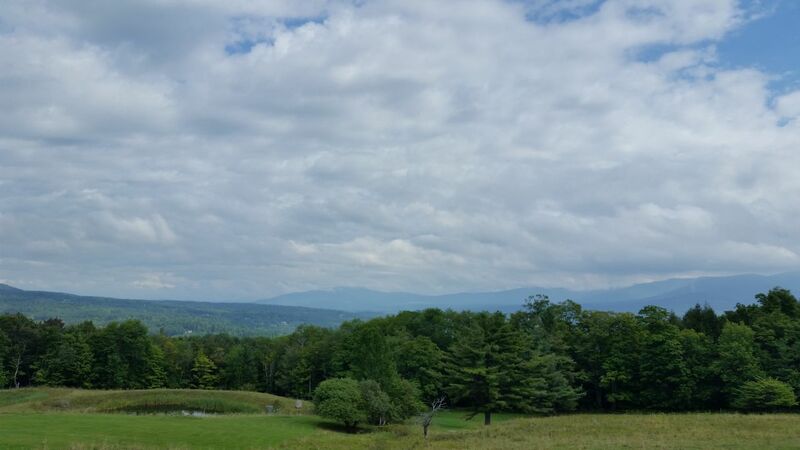 They made their home here in Stowe, Vermont because the view reminded them of Austria. For some reason when I was exploring this area, I could not get Julie Andrews and “The Hills Are Alive” song out of my head. I can almost see here twirling right there on the hilltop. I dare you to visit this lodge and not think of that. They have many dining options and packages to stay in the lodge. So if you are looking for something different, other than a campground, you should check this place out. Lots of hiking and biking trails. Skiing, of course, in the winter. 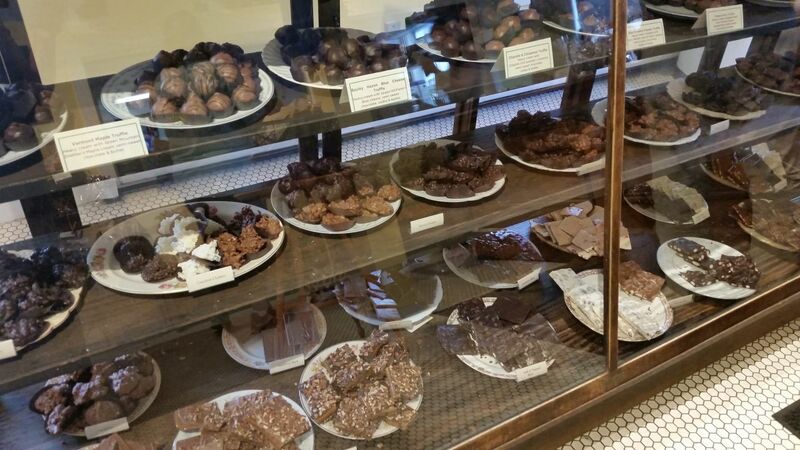 Oh…and while in Stowe, which is another quaint and cute town, you must, must, must visit Laughing Moon Chocolates. There are many chocolate shops in Vermont but I have to say, these were the best. Hand crafted right there in house. 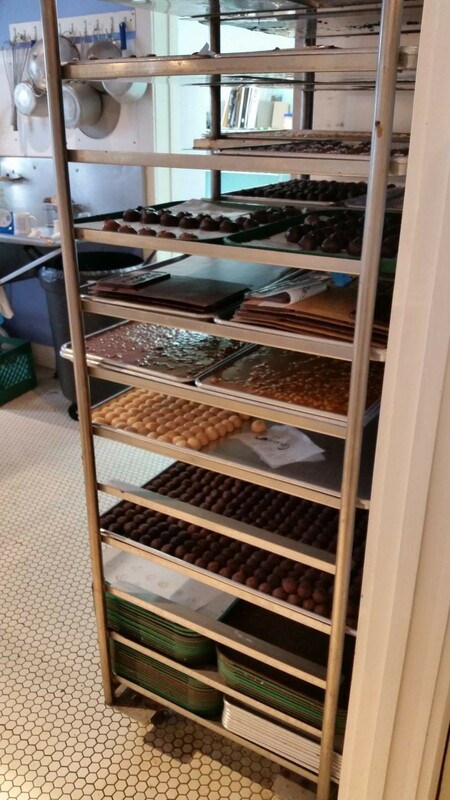 You can watch the chocolate makers every day create such wonderfully delicious delicacies. All you have to do is inhale when you walk in and they have you. First off, they are a company that does some good things for the community, around the country and the world. They are great charity givers. And lets face it, they do make some good, all be it expensive, ice cream. So the below is only towards the tour. First, it was super crowded. 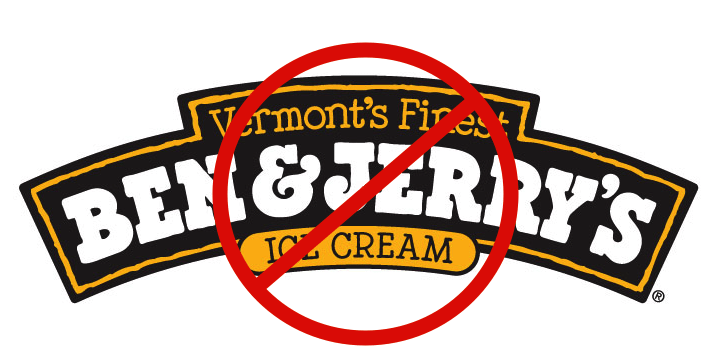 Ok….it’s Ben and Jerry’s. I get it. Expect crowds. What I did not expect were so many people wandering without a place to sit. They have an ice cream shop there that, of course, was crazy busy, but once you get your ice cream don’t expect to sit down. There are about 7 tables and chairs for the thousands, yes I said thousands, of people that go there every day. Second, the tour was a waste of $4 dollars. There’s really no reason why it could not be a self-guided tour. You watch a 6 minute video that, to be honest, is an old school, 4:3 aspect ratio, looks like it was made for an 80’s after school special type of “movie”. With all the money that they have It really was embarrassing to not put a better foot forward for their customers. We saw a better movie in the Billings Farm and Museum! Heck, even the video, or should I say movie, viewing room was outstanding at Billings Farm. Then you get led to the “factory”. Really it’s only an overlook and all you really see is the lids going on the pints. Umm….really? I paid $4 bucks for this? Really? That was it? Oh, I am sorry, there is more you get for that $4. So let’s not forget the ice cream sample you get at the end. It’s whatever flavor they are serving that day in a tiny ketchup sized cup that has, by the way, melted because the person serving has to serve 45 samples and therefore the freezer door stays open and all the heat melts the ice cream. We felt completely ripped off that it cost $4 bucks. Not to mention we had to wait 1.5 hours just to take the tour! We all walked out of there disappointed. So disappointed I didn’t even take a picture of the outside and that is all I could have taken a picture of as you can in the tour. Pictures are not allowed on the tour. With such a good name behind them, they seemed to have gone too corporate (If you did not know, they are owned by Unilever now). I’m sure that if you have kids, they would enjoy it as they have a playground. However, we did not. Ok, Ok, I am done with that. Again, they do make some good ice cream. And yes, they do some great charity work. But this “Factory Tour” was, for us, a total waist of time. They surely should not be charging for it at all for they surely sell enough ice cream at the walkup windows with a 30 min waiting line to cover it. Now we have not been ones to frequent chains restaurants and such and this really just reaffirmed it all for us. The lesson we learned is to really give our business to the mom and pop places that need our business and not the corporations. Vermont is certainly not lacking in the mom and pop area. We truly did love our time in Vermont. We had great friends to explore the state with. We had some down time to relax and we had some good times around the dinner table. Although we only took 12 days to explore Vermont, we felt it was adequate time to see and do everything that we wanted. We can now check Vermont off the list. Until we run out of that wine! Then another trip may be in order. As always, so cool! Now we have another location on our list to go and explore! Thanks and welcome to our travels and site. thinking of going there next summer on the way to Maine…great info. Thanks! A few years ago while at a FMCA rally in Essex Junction we took a side trip to Ben and Jerrys . Our opinion of B and G was the same as yours .. We’ll have to check out the campground you stayed at ( Able campground ?) and a good tip on the Billings farm . Dave and Brenda just a quick question about dish network. We have pay as you go and we have the tailgator We are in Nova Scotia and could not get our satellite to work. Any suggestions? Hi Cathy. Well…We believe Nova Scotia is probably too high up (too far north) to receive the satellite signal on such a small dish. 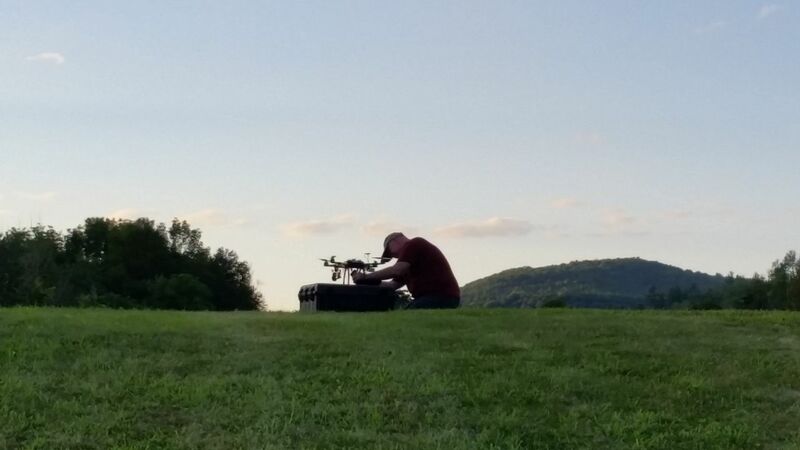 The satellites would be too low on the horizon.